After the south african trip, I drove back to South Tyrol to set the first European Youth Cup in Merano. It was an hard work, but it was worth it and I think, that everybody was satisfied. After setting some routes in Termeno, I spent the following 2 weeks between France and Austria, searching a new house and mooving all our stuffs there. Around the middle of october, I had a 4 days trip to Kalymnos to make some photoshootings….and I didn’t expect me such a nice place! The high quality of the rock and the neverending potential rate the island as one of the best place for climbing I’ve seen so far. I’m really looking forward to the next season to go there and bolt some new stuffs! 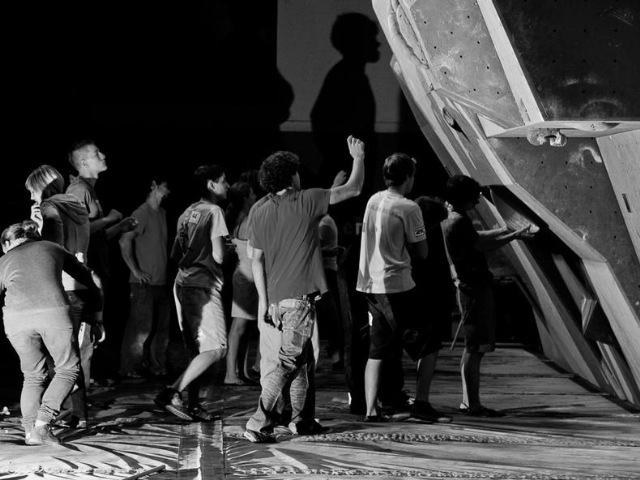 When I came back, I immidiatly started to set the IMS boulder cup in Brixen, a master with 5 of the strongest climbers of the world right now…and it was really stresfull because we had just one day to set all the problems. We were a little bit too intimidated about the names on the starting list and at the end the problems were too hard. I’m really upset with the result of the competition: we all put all our energies and did our best to make everything perfect…and at the end it wasn’t. Shits can happen…but the next time it will be better! As I spend a lot of energies and time in route setting, I decided to create a new page in the blog, where I’ll add all my “work” activities. If someone is intrested, has just to contact me: I’m always motivated to set whatever and wherever!